Shah Rukh Khan posted a lovely picture collage with actresses Alia Bhatt, Kareena Kapoor Khan and Madhuri Dixit, and our day was made. 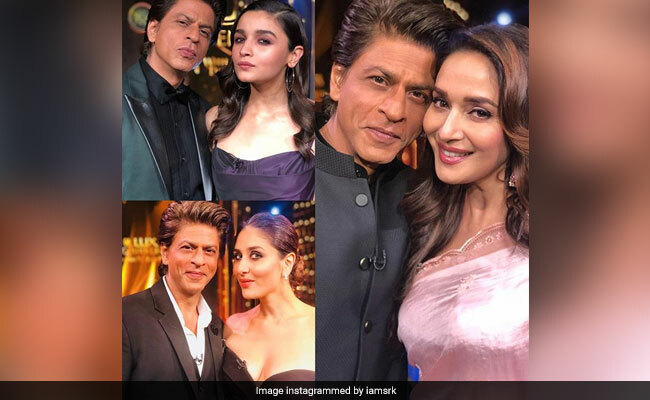 In the first picture, SRK poses with Alia (his Dear Zindagi co-stars), in the second one, he shares the frame with Kareena (his Asoka and Kabhi Khushi Kabhie Gham co-star) and third photo is with Madhuri, with whom he has started in films like Dil Toh Pagal Hai and Devdas. (Much wow). "Beautiful women... cos each one has helped me be a better man. Thank u girls & be as strong & as gentle as u are," the 52-year-old superstar captioned his post. (Shah Rukh Khan, thank you for this amazing picture). The picture is from an event related to Lux Golden Rose Awards. Here are some other posts shared by Lux Golden Rose Awards Instagram account. Earlier this week, he posted a picture with Katrina Kaif and Deepika Padukone, mentioning that he had a 'hard day at work.' (Poor SRK). "Hard day at work waltzing with the lovely Katrina & getting a hug from the beautiful Deepika. And they say actors have it easy!! !," he wrote. 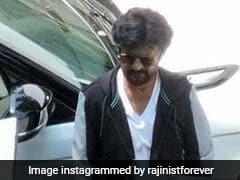 And, a month ago, he posted a collage with Sridevi, Kajol, Rani Mukerji, Alia Bhatt and Karisma Kapoor, which left the Internet smitten. Shah Rukh Khan last featured in Jab Harry Met Sejal and Raees, his other release of the 2017, hit the screens in January. He is currently filming Aanand L Rai's untitled film, co-starring Katrina Kaif and Anushka Sharma, his Jab Tak Hai Jaan co-stars.